If you follow along on Instagram, you know that last weekend Hunter and I had a fantastic (and busy!) staycation in Atlanta. For those of you who aren't familiar with the term staycation, a staycation is a vacation spent in your own city visiting local sights and restaurants without leaving the comforts of home. 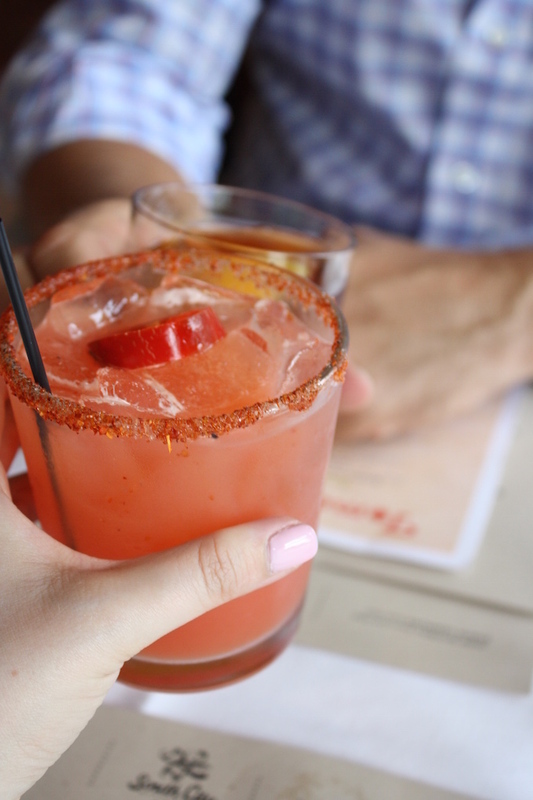 For our staycation, we opted to explore some Atlanta restaurants we had yet to frequent (and a few old favorites) and hit up some new sights along the way. 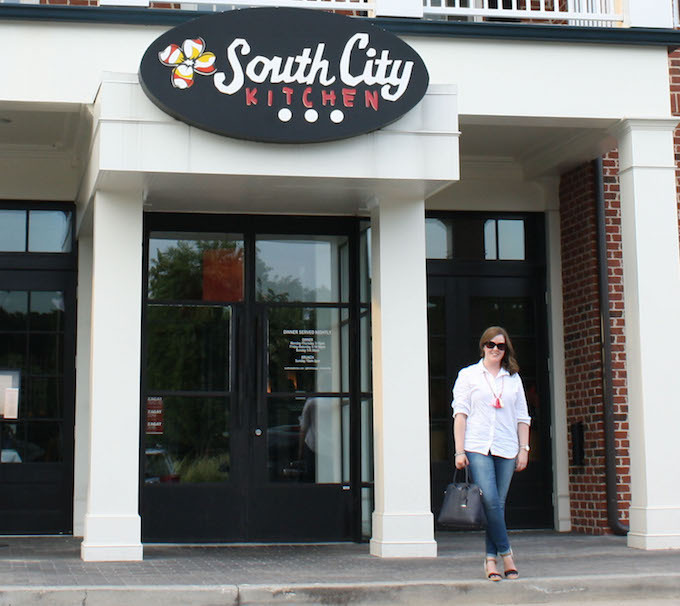 We started our weekend with a fabulous meal at South City Kitchen Vinings. Located just a quick fifteen minute drive from our front door, South City Kitchen Vinings is an Atlanta institution with a knack for creating an upscale environment for southern soul food. Friday and Saturday were the final days of their famous Tomato Jam, a special menu dedicated to celebrating the tomato in all of its glory. Since we were there for Tomato Jam, we stuck to small plates and enjoying tomatoes in almost every possible way you can imagine. Pasta? We had that. Salad? That too. How about pickled shrimp? Yep. Loved it. Every dish uniquely delivered tomatoes in a way that was surprising again and again. Of course we would be remiss not to have tried SCK's delightful, well-thought-out cocktails. A southern twist on the traditional manhattan for him, and a blood orange treat for her. The cocktail menu at South City Kitchen Vinings packs a lot of punch, and I had a difficult time deciding which drink to imbibe in. Safe to say that I'll be back to try a few of the other offerings. Although the Tomato Jam menu ended last weekend, South City Kitchen Vinings specializes in bringing unique, themed menus to their tables again and again. Next on the list is Hogtoberfest, a menu devoted to all things pig. Yes, please! This menu kicks off on Wednesday, October 21st with a limited seating pig roast specifically for Fifth Group Members (get your membership here) and continues Thursday, October 22nd through October 31st (Halloween!). Mark your calendars! Of course, South City Kitchen dishes up an incredible nightly menu, too. In fact, they are probably most well-known for their fried chicken. YUM! So, we couldn't leave without sampling at least one traditional menu item: peach cobbler. Special thanks to the Reynolds Group and South City Kitchen Vinings for helping us get our staycation off to a great start! While our meal was taken care of, all opinions are my own.